Part of the ancient city of Bargylia is up for sale in Turkey. It boasts 133 hectares (330 acres) of land and contains the ruins of an ancient amphitheater, acropolis, fortification walls, a bath, and a necropolis. Classified a Grade 1 archaeological site, the land is selling for 35 million lira ($8.3 million or £6.1 million). The notice of the property’s availability became known to the international media through Hurriyet Daily News . 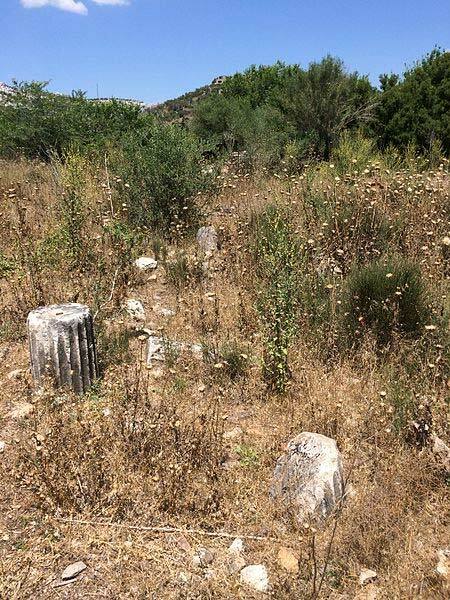 The Turkish paper also reports that construction on the Turkish archaeological site is prohibited and no excavations have taken place at Bargylia to date. BBC News reports that those restrictions haven’t stopped treasure hunters from stealing some archaeological treasures, such as a Roman mosaic. Unfortunately, it is said the government cannot step in to excavate and protect the land because it is on private property. But local landowners such as 87-year-old Hüseyin Üçpınar would like to see the land bought by the Turkish Culture and Tourism Ministry. Üçpınar has noted that he cannot take care of the site alone. There is some worry that the site may be downgraded from the Grade 1 status if it is bought by another private owner looking to build there instead of conserving the site. The search for a buyer was already underway in 2015 , but the price has been cut by almost $2 million since then. 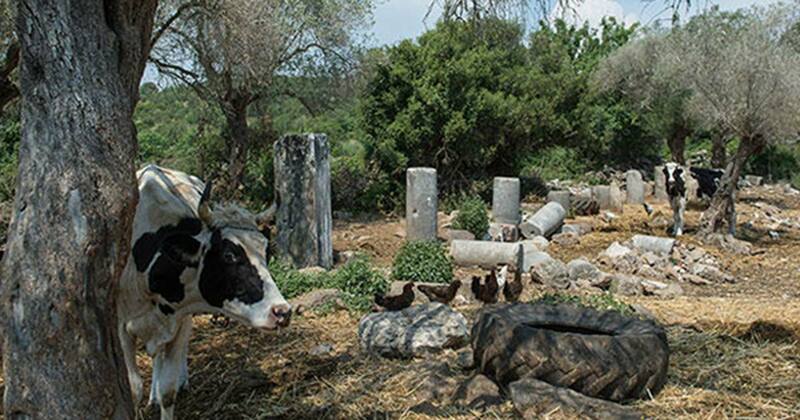 If you saw the site today, animals grazing amongst the ruins would not be an uncommon picture. However, the value of those ruins should not be diminished. As Hurriyet Daily News mentions, the site is full of remains, such as an amphitheater, acropolis, fortification walls, a bath, and a necropolis dating to the Roman and Byzantine periods. The Princeton Encyclopedia of Classical Sites states that Bargylia also has the remnants of a Roman aqueduct, a Corinthian temple, and a medieval castle and part of a city wall from the same period. A Hellenistic period tomb dedicated to the sea monster Scylla also used to stand next to the harbor at Bargylia. Now the larger than life-sized sculpture of Scylla and some hounds that once graced the tomb is part of the British Museum’s collection . 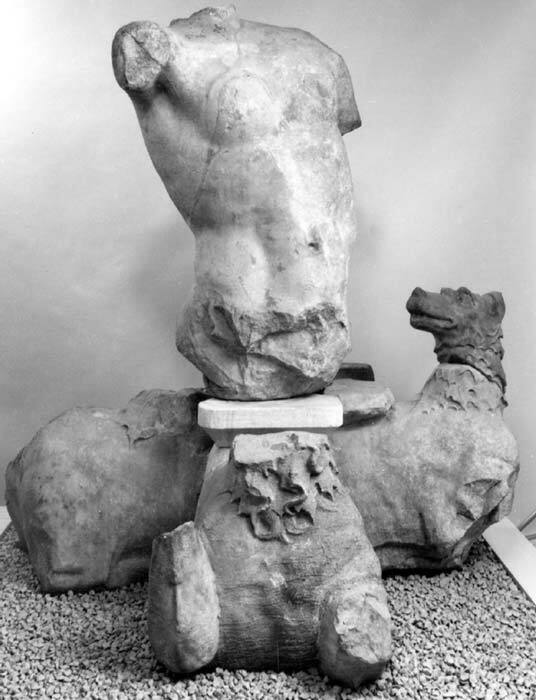 Part of a marble statue of the sea monster Skylla: headless torso with right arm outstretched, left arm by side, both arms missing from just below the shoulder. ( CC BY NC SA 4.0 ) This sculpture was found at a seaside tomb in Bargylia. Local legends say Bargylia was founded by a Greek hero named Bellerophon, who named it after his companion Bargylos. Bargylos allegedly died after being kicked by Pegasus. The Temple of Artemis Cindyas is said to have been located near Bargylia. Stories say that rain fell around, but never on, that temple. Both Pegasus and Artemis appeared on coinage in Bargylia. Apart from legends, there is also documentation suggesting King Philip V of Macedon used the city as a winter base in 201 BC.